« Summer time, time for new crosswords! An attractive offer which allows you dealing with hundreds of crosswords, made by various authors and divided into different difficulty levels an different types: classical, barred, without scheme and syllabic ones… a rare feature, maybe unique for this kind of games in Google Play which are limited only to one kind of scheme. To not mention that Crucidroid offers an “online players ranking” where only the best players can be! Furthermore, next days the app will be updated with new schemes (will be overcame the fateful share of 400 schemes? wow!) ready to be solved! 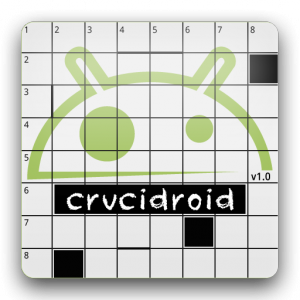 Paranoidandroid.it staff made us a nice gift, so we now just download one of the most complete and entertaining crossword app for Android devices! Print article This entry was posted by Diegroid on 23 December 2014 at 21:48, and is filed under Press Release, Games & Apps. Follow any responses to this post through RSS 2.0. You can leave a response or trackback from your own site.